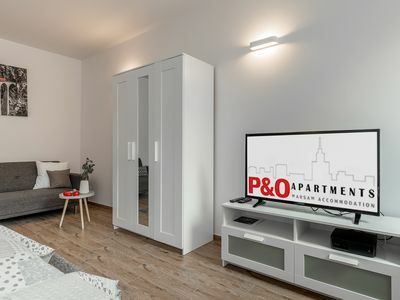 Characteristically decorated, having a surface area of 102 m2 Apartment "Platinum" is the perfect place to relax away from the hustle and bustle. 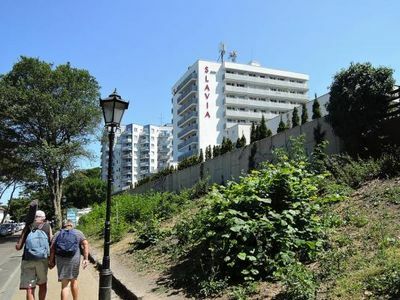 Located in the heart of Sopot, 50 meters away from the beach and just 100 meters from the pedestrian Monte Cassino, and at the same time surrounded by greenery and silence, allow for a relaxing respite. The apartment consists of two parts. 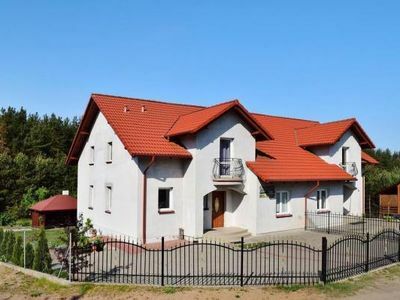 The first of these is a versatile room with an area of 27 m2 with elements of the original woodwork restored Sopot connected with a veranda (16 m2), while the second room having an area of 23 m2 and porch (8 m 2). There is also a dining room, modern kitchen and a bathroom. 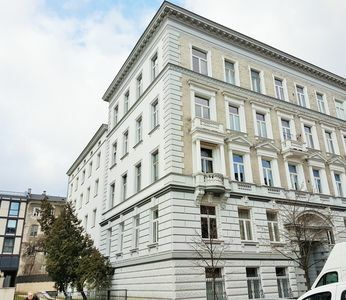 Independent apartment "Platinum" is designed for 8 people and is located on the first floor. Room with an area of 27 m2 with veranda is equipped with two double beds, and if necessary, there is a possibility of extra bed. Room with an area of 23 m2 and adjoining veranda is equipped with two sofa beds corner, as well as a seating area and a safe. 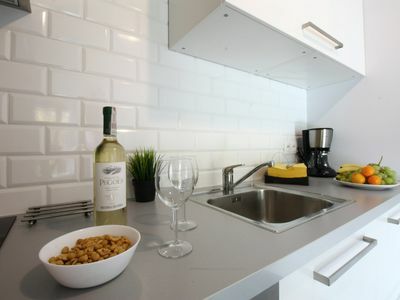 Kitchen with dining area is equipped with a dishwasher, ceramic hob, oven, refrigerator, and all necessary utensils. The bathroom is equipped with a bidet, a modern irrigation system and underfloor heating. In addition, you can use the washing machine. The suite features available wireless Internet access and cable TV. The apartment is completely independent, and the garden with a place where guests can use the grill, it is an additional advantage. In the suite there is also complimentary use of a dry Finnish sauna. 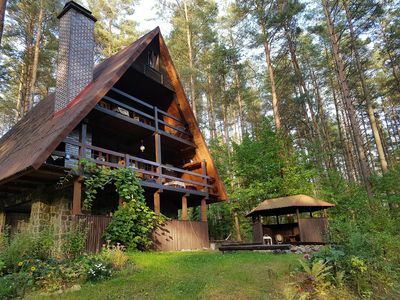 The excellent location and the proximity of the greatest strengths of Sopot no doubt provide you with an enjoyable break. The surface of this stylishly furnished Platinum Suite is 102 m2. It is divided into 2 parts. 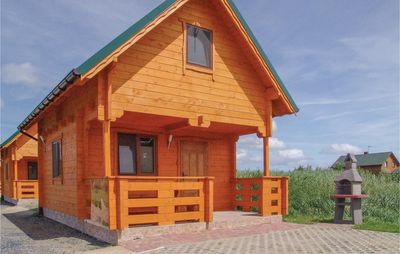 The first part: a versatile room of 27 m2 with elements of renovated original Sopot woodwork connected with a veranda of 16 m2, provided with two double beds, a corner sofa, cable TV and Internet. An extra bed is available on request. 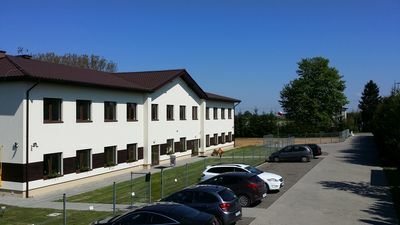 The apartment is situated on the first floor and is independent.